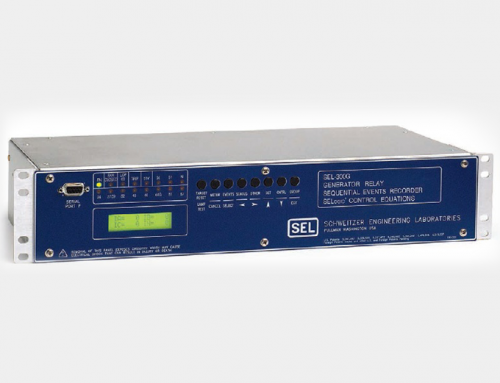 The SEL-700G provides a complete protection and synchronization solution for synchronous generators. 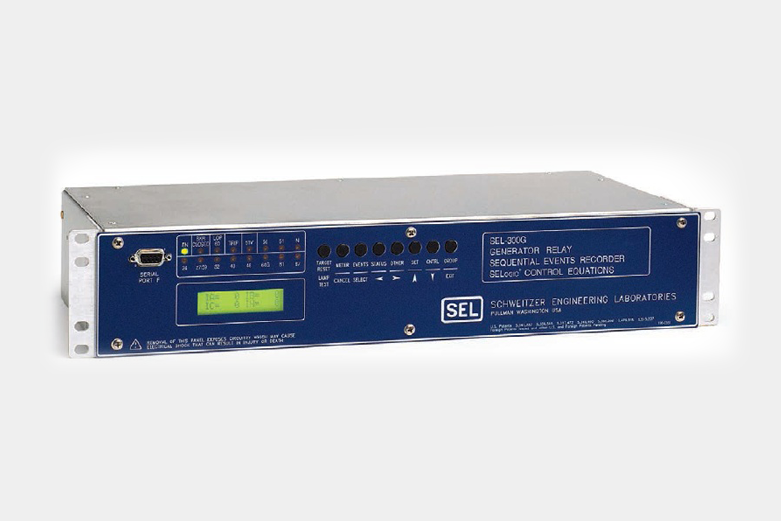 Eliminate the complexity and cost of standalone synchronizer packages. 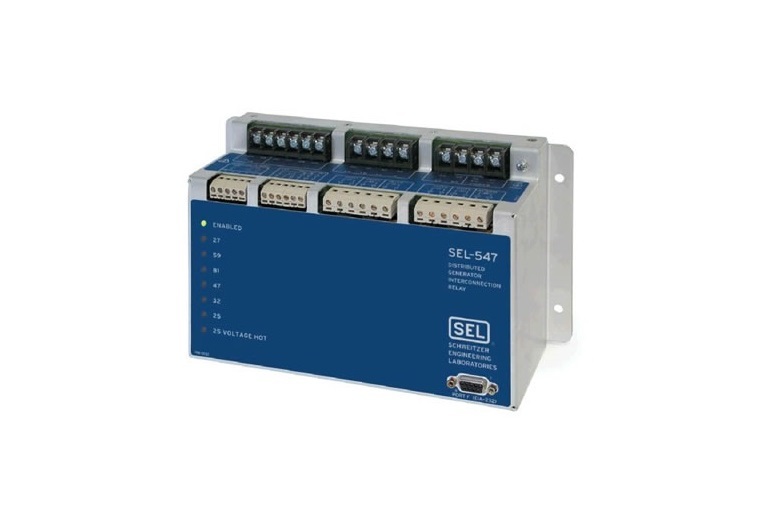 Integrating the synchronization capability into the generator protection relay provides the most cost-effective and reliable solution. Easily upgrade protection without cutting or drilling existing cutouts with a small form factor and multiple mounting adapters. 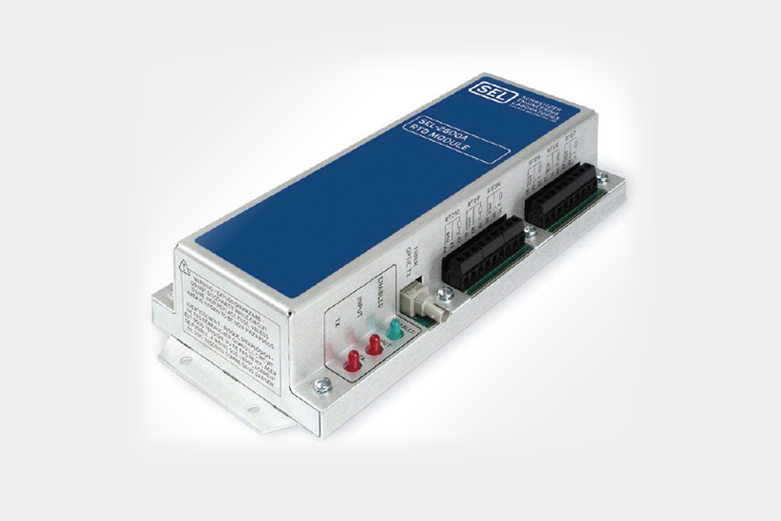 Quickly integrate into serial- or Ethernet-based communications with Modbus®, DNP3, IEC 61850,MIRRORED BITS® communications, DeviceNet™, and other protocols. 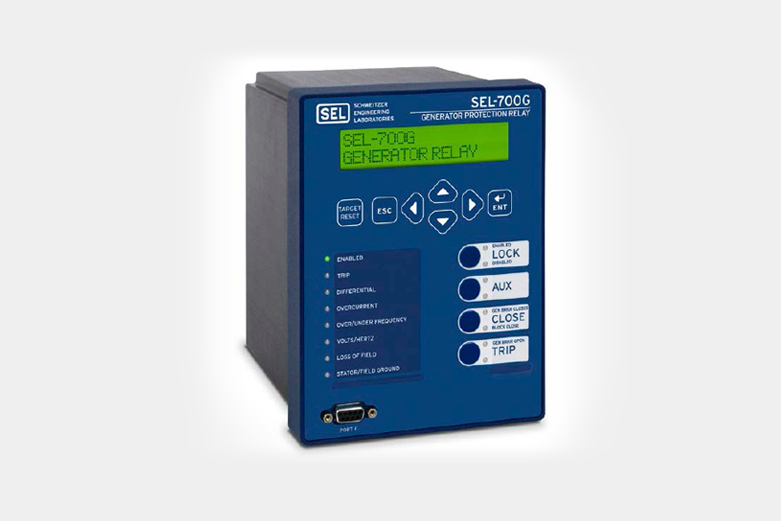 Connect the SEL-700G Generator Protection Relay across small, medium, or large generators forcomplete primary and backup protection. 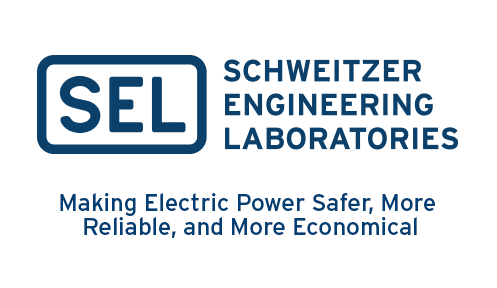 Adding the neutral voltage connection provides 100 percent stator ground protection, based on fundamental-frequency and third-harmonic neutral-voltage measurements. 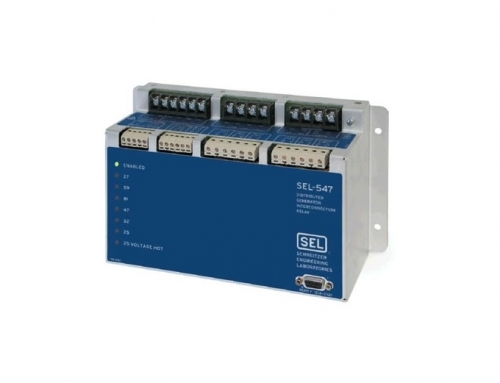 Connecting the neutral current input provides protection for solidly grounded or resistance-grounded machines. 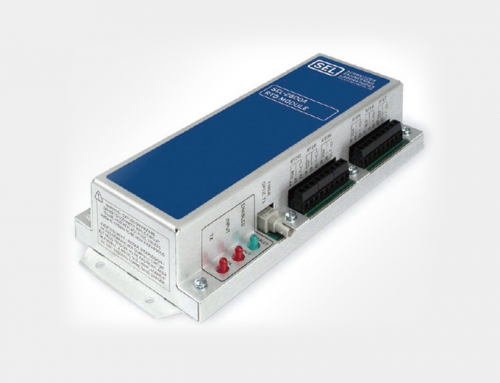 Replace external generator control and synchronizer relays with the built-in automatic synchronizer function. 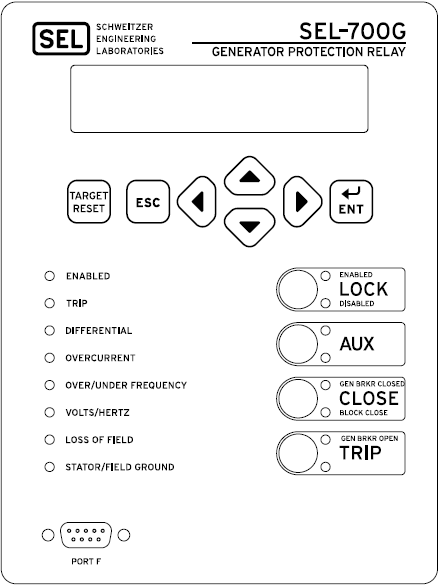 Frequency, voltage, and phase control of the generator are automatically synchro-nized and connected to the power system. Monitor the generator synchro-nization process using generator start reports and the PC-based synchroscope. 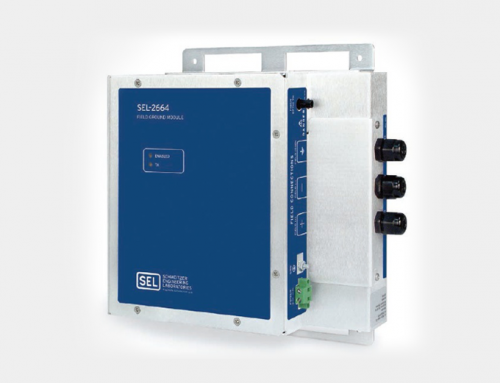 Apply sensitive percentage-restrained current differential elements and an unrestrained element, along with synchronism check and volts-per-hertz elements, across the entire unit to protect both the generator and the step-up transformer. 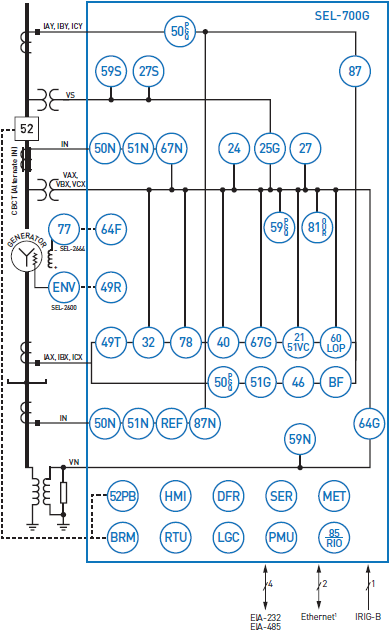 Optional current differential elements detect stator faults using a secure, sensitive current differ-ential function. 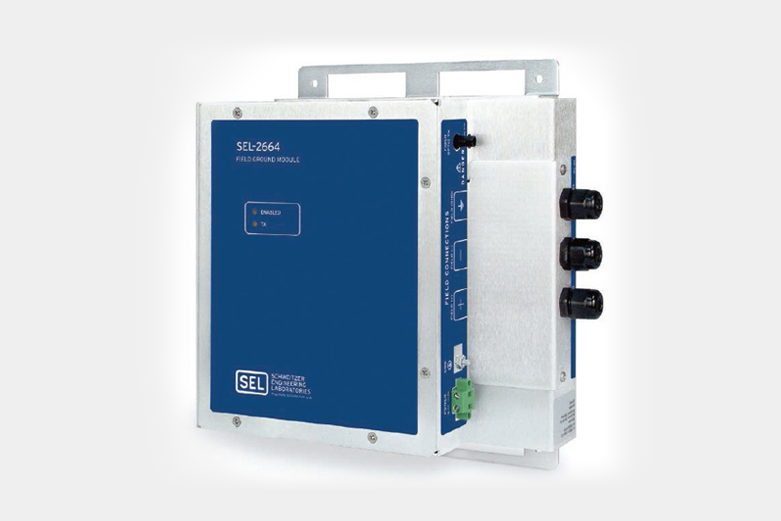 Power transformer and CT connection compensation allows the unit step-up transformer to be included in the generator differential zone. Record accumulated breaker contact wear with the breaker monitor function, which uses the manufacturer’s speci-fications for defining breaker operation limits. The internal monitor tracks the total number of close/open operations and integrates the interrupted current per phase. Set an alarm to alert opera-tors when measured and accumulated quantities approach maintenance thresholds. This information facilitates proactive breaker maintenance and replacement without underutilizing resources. Choose from single or dual copper or fiber-optic Ethernet ports, or serial communications, and several protocols, including Mirrored Bits®communications and IEC 61850. 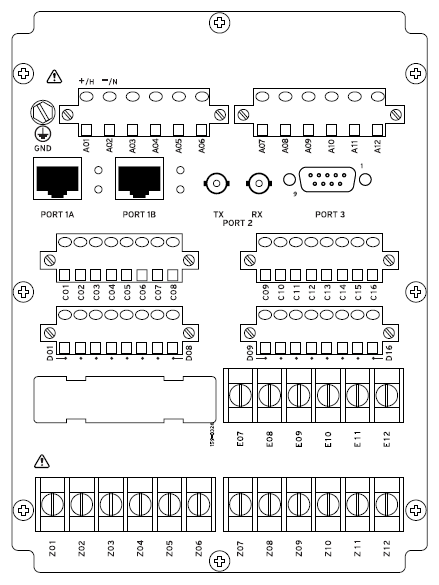 Pick multiple Modbus® TCP or Modbus serial sessions for custom configuration of your application. Use DNP3 Serial or DNP3 LAN/WAN protocols.